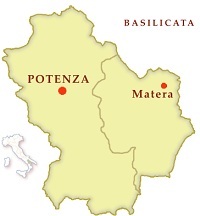 Matera is one of the two provinces of Basilicata. 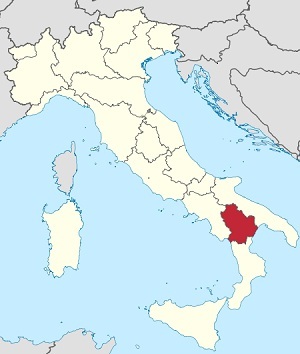 Overlooking the Ionian sea to the East, it borders with the Apulia region to the North (provinces of Bari and Taranto), with the province of Potenza to the west and with Calabria (province of Cosenza) to the south. It is divided geographically in two parts: a plain area (Metapontino) and a hilly area (Matera) where the climate is colder than in the plain and it often snows during the winter. Pantano of Policoro woods, a WWF oasis, the remains of the wide high trees forest covering the whole marshy coast before the land reclamation. 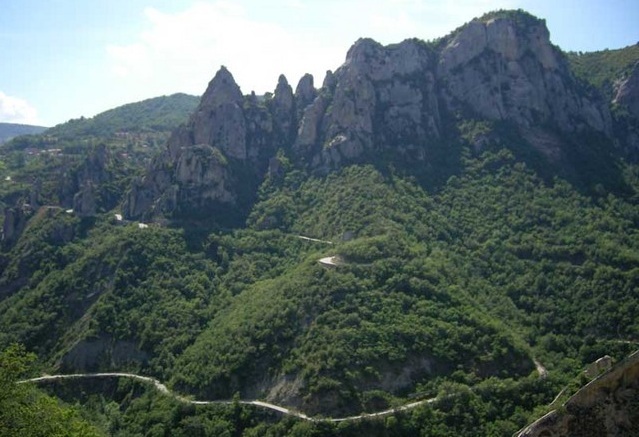 the Natural Park of Gallipoli Cognato – Small Dolomiti Lucane and a small area of the National Park of Pollino. 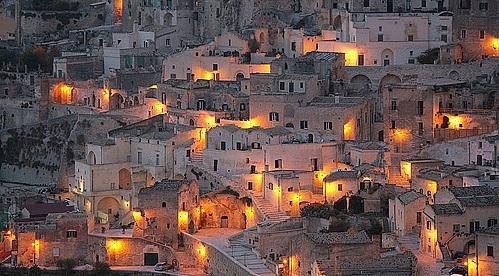 The capital city of Matera has gained international fame for its ancient town, the "Sassi di Matera" (meaning "stones of Matera"), which are reason enough for a visit in Basilicata. Listed among the UNESCO World Heritage Sites since 1993, the Sassi are houses overlapping one above another and linked by little and narrow streets and wide stairs. Inhabited since the past until last century, they have brickwork facades but the inside is completely dug into the rocks, this is truly an inspiring place, one that evokes waves of deep inner feelings, you feel at home the same instant you set foot on those cobbled stones. Archaeological Historical and Natural Park of the Rupestrian Churches of the Materano shows an important historical and archaeological heritage: more than 160 rocky churches, three neolithic villages (Serra d'Alto, Timmari and Murgia Timone), and many prehistoric tombs. Miglionico with its great Castle of Malconsiglio, Bernalda with its 15th century castle and Tricarico, Grassano, Irsina and Ferrandina, all full of monuments to see. Going on to the south, we reach the suggestive Calanchi area, with white clay hills, pinnacles, cones and small canyons dug by sun and rain. 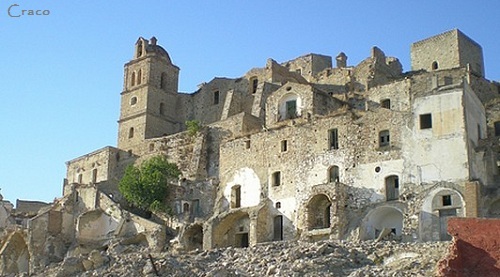 In this area the uninhabited village of Craco is very nice, with a lot of historical places, the castle and a group of houses on the rocks surrounded by little streets, stairs and small squares. Moving on we find the village of Tursi, with its Rabatana district, the ruins of the Castle and the church of S. Maria Maggiore of Rabatana, and the church of S. Maria d'Anglona nearby. The coast on the Ionic sea, the only plain area of the province, is rich in archaeological ruins, because in the past it was one of the main centres of the Magna Graecia. In particular, the archaeological area of Metaponto deserves a visit, with ruins such as the temple in Doric-archaic style dedicated to the goddess Hera, called Tavole Palatine, and the Temple of Apollo in Doric style or the ionic temple dedicated to Aphrodite, built around 470 BC. Furthermore, the ancient agora with the theatre, and the National Archaeological Museum of Metaponto, with many archaeological finds. Lastly, Policoro, with its Castle, the archaeological Park with the Greek ruins and the National Museum of Siritide. The province has many wildlife reserves, ideal places to go on an excursion and discover the lush vegetation and the rich local fauna: in all the reserves it's possible to organize trekking trips, cycle trips or horse rides, just to enjoy these special places. 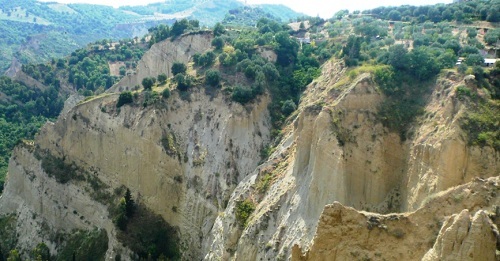 Small Dolomiti of Lucania - is reported on the best bird-watching reviews and here it is very easy to see wonderful kites, buzzards, kestrels, peregrine falcons, barn owls, owls and hoot owls, as well as mammals like wild pigs, wolves, foxes, badgers, porcupines, wildcats, hares, hedgehogs, dormouses, squirrels, weasels, stone martens and, in river flows, otters. 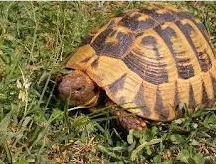 The tortoise of Herman is very rare; it's a little turtle with a yellow spotted shell that lives very close to the clearing and to the maquis. Matera is the right place for sea holiday lovers; it has 30 km of coast on the Ionian sea, not much cement, wide fields and the maquis is close to the great stretches of sand. 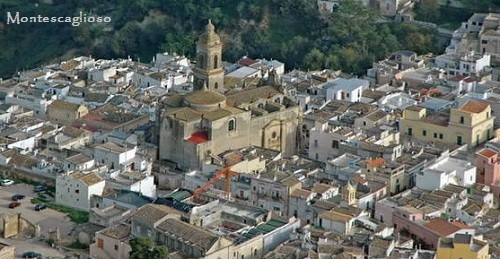 Policoro, Metaponto and Pisticci are three of the main seaside resorts. 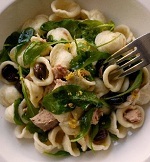 The cuisine of Matera has much in common with the near region of Apulia: orecchiette (ear-shaped handmade pasta) prepared with fresh tomato or with turnip tops, broccolis, cauliflower or with breadcrumb and sultanas. In this province hot pepper is widely used and is called in three different ways: diavulicchiu, frangisello, cerasella. Another typical dish is the cotto di fichi (cooked figs), a kind of cream made using boiled and dried figs. The dish changes a bit with prickly pears instead of figs. 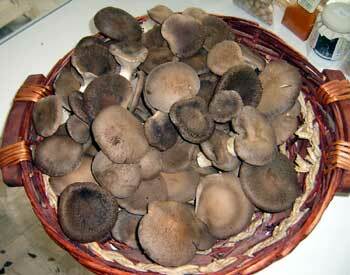 The local Cardoncello mushroom, cooked in different ways or eaten raw with ricotta cheese, lemons and olive oil from Murge of Matera. And then the wheat and chick-peas soup; the cialled, a kind of soup with stale bread, eggs, olives, tomatoes and other vegetables; and also some traditional dishes linked to the religious events. In the Metaponto area fish dishes are very common as “scapece” (fried anchovies marinated with vinegar) and the dried salted cod prepared with peppers. Lamb and sheep are also very common in this province. Another typical dish is the gnummaridd, special rolls filled with sheep and kids giblets. Eels ought to be tried, too, with hot peppers, tomatoes, mint and laurel. Typical cheeses are: ricotta cheese, sheep milk cheese and burrata (fresh mozzarella and cream cheese). Typical desserts are: figs with honey, pasch'nisch, a September dessert prepared with semolina and mulled must; the cuccìa, as for the province of Potenza, a boiled wheat dessert mixed with chocolate, pomegranate, walnuts and mulled wine. A typical Easter dish of Matera is the cardi with cacio and eggs and the pirc'dduzz (pasta with a mulled wine dressing) and a typical Easter dish in Irsina is “fusilli” with fried breadcrumbs and cooked figs.